How does media help study abroad students? Information resource: Students are able to seek out information and create their own expectations based on the content they find online and through social media resources, such as Facebook or blogs written by study abroad alumni. Discovering study abroad providers, meeting alumni, and contacting various sources of information are benefits that the Internet gives students as they prepare to go abroad. Communication: Maintaining contact with friends and family back home is a major concern for students who go want to go abroad for extended periods of time. With social media and the Internet, daily exchanges with contacts are possible. This reassures students that although home is physically far away, it is easy to stay in touch with friends and family in an online environment. Adjusting: Today’s young students grew up in media and technology-saturated environments. They are familiar with social networking sites, and websites like Facebook and Twitter play important roles in their social lives. Instead of completely cutting off Internet and social media connections, going abroad often limits access. However, having some online access helps in the adjustment process by remaining a constant form of communication. Documenting: Taking pictures and sharing them with people is incredibly easy in today’s world. Cell phones have cameras and can connect to the Internet. Facebook photo albums and Instagram albums make for online scrapbooks, and Facebook Timelines and blogs tell chronological stories. The result is a unique documentation of one’s experience, helping study abroad students organize their time abroad. Reflection: Often times, reflection happens in retrospect. In the case of international education experiences, it is the same. Re-adjusting to life back home after living away for some time can be difficult, and the documented travels can serve as points of reflection for many students. Blogs and journals are also commonly written and shared, and after returning from abroad, memories can return while examining these entries. Sharing: One of social media’s strengths is its ability to provide people with the sense that they are sharing something of importance, whether it is personal or not. Having a close social network online gives students the opportunity to share their experience even after it has already happened. This also helps students to adjust to reverse culture shock and returning back home. How does media help study abroad providers? Communication/Engagement: Study abroad providers and offices at universities benefit from using media (social media in particular) because they can reach students in a practical way. They increase their connections and engagement because most students use these platforms and are familiar with them. They can also push out information, like due dates and deadlines, announcements, etc., in a manner that makes it easier for students to receive. They can form and build relationships with people not just in person, but online as well. Advertising/Marketing: Programs which have websites or social media accounts tend to reach more students because the content is available to any person who has an internet connection as opposed to specific students who are geographically near. The internet enables study abroad offices and providers to expose their programs to a larger public audience. Evaluation: Development of international education programs and providers depend greatly on student reviews and criticisms. The tendency of social media profiles and content to be in the public domain makes it convenient for these programs to find various forms of student feedback. This is information that programs might not otherwise directly receive. How does media help the field of international education? Advocacy: Advocacy for the field is happening every second, with so much information, blogs, tweets, and various posts about study abroad experiences and international education opportunities being shared online often. Each student who goes abroad and writes about it is advocating for the field, and each program provider who shares information online with prospective students is doing the same. Connecting: Thousands of students and higher education professionals in the field of international education are finding unique ways to get in touch with each other, and this strengthens the field’s community. E-mail, LinkedIn, and various social networking sites enable millions to connect, regardless of location, time, etc. Developments in the field can be shared by and with programs around the world, which makes for a very transparent network. The benefits that the Internet and social media outlets provide for the international education field are invaluable. For students, adjustment to the host country and communication with those at home are made easier and more convenient with media. For university programs and independent providers, there are major gains in student engagement and marketing. Finally, for the field itself, advocacy and building a community are favorable outcomes of Internet and social media use. The development of the field of international education and the growth of the study abroad experience is greatly affected by media use. Does social media help or hurt study abroad offices? In articles by Wayne Myles for the Interdisciplinary Journal of Study Abroad, and Kristine Murray and Rhonda Waller for the International Educator, the pros and cons of the Internet and social media use by study abroad providers are debated. Source of information/opportunities to interact and learn. Social media is an incredible opportunity for study abroad offices and program providers to communicate with students. Henry Jenkins’ theory of “participatory culture” is present because both parties (students and providers) are creating and consuming content rather than playing separate roles. The growth from this interaction creates a community and in this case, ideally, a study abroad community. Study abroad offices benefit by increasing connections with students to platforms they are familiar with, instead of only face-to-face communication. Ability to edit/censor/approve content. On certain platforms, such as Facebook, a study abroad provider or individual adviser would have the ability to maintain the content in the groups. They can select the audience who can join or view the group and its members, send messages to the members, and edit any member-posted content. This is helpful in cases where students attempt to change or lead the conversations in inappropriate directions. This keeps the group and the content professional. Study abroad office benefit by leading and controlling the conversation. Gain better understanding of students’ needs/opinions. Because social media platforms and the Internet are environments in which students were raised beginning at young ages, they are, in many ways, “student’s turf”. Students feel comfortable sharing opinions, ideas, and questions, and the information they share with each other is information that advisers and study abroad program offices might not otherwise receive. Study abroad offices benefit by using this student feedback to develop their programs. Publicity/marketing. Having program information online makes a study abroad office or provider more convenient and focused on the needs of the students. Engaging students online by posting facts, pictures, videos, or event information on websites like Twitter, Facebook, Pinterest, etc., exposes study abroad offices to a greater public audience. They benefit by increasing their student reach and focusing on targeting the desired audience. Discovery of inappropriate student behavior/Privacy invasion. Many professionals approach social media and the Internet carefully because they are weary of coming across inappropriate content related to students. Additionally, some students feel as though being connected to professionals or university departments online is an invasion of their privacy. Information discovered on social media or on the Internet about students can affect their academics and relationship with the study abroad office. No guarantee of student participation. The Uses and Gratifications theory assumes users to be selective in their media choices, and that the purpose of each media use varies for each person. While a study abroad office or program provider might utilize social media platforms for a specific reason, the students might not reciprocate. Some students might not even have social media accounts or be active on the Internet enough to have an equal online representation of the student body. This can skew or bias a study abroad office or provider in opportunity offers or information sharing. Potentially decreased quality of service. Student needs are the first priority for most study abroad offices and providers. As a result, it is crucial that they are always available for students to contact, whether it is online or offline. Furthermore, many individual student needs are best addressed in person and with face-to-fact interaction. The moving of services and demand to an online environment potentially decreases study abroad advisers’ ability to meet these in-person needs. In conclusion, the Internet and social media platforms serve undeniable benefits to study abroad offices, program providers, and individual advisers across the world. In many ways, this type of communication is faster, less formal, and helpful to students. However, it is also argued that other students are not getting the attention they need in order to make the process of study abroad convenient. It is important for providers and higher education professionals to recognize that maintaining a balance between online and offline services is met. Branding, in terms of marketing, is a popular practice among individuals and businesses in today’s media environment. While reading an article about cultural stereotypes held by Americans about the British culture, I began thinking about how media is used to brand much more than just products and businesses, but entire countries and cultures. TV shows, movies, and celebrities are all modern examples through which media portrays various cultures. In an article by Dominic Janes, a lecturer at the University of London, he cites that many internationals associate the class system with the British. Perhaps this is because Britain’s royal family is often a topic in the media and popular culture. In my own experience and in my peers, I have noticed that Americans associate the following with London, Britain, and its people: tea time, politeness, wealth, royalty, sarcasm, The Beatles, boy bands, and accents. It makes sense that people around the world relate these subjects with Great Britain because the country itself is often portrayed in the media with strong relations to these ideas. For example, on the talk show Ellen, hosted by American talk show host, there is a segment called “Tea Time with Sophia Grace and Rosie”. The segment is hosted by two British girls Ellen discovered on YouTube. The popular idea that the British love tea is supported by this popular talk show broadcasting the tea time segment. For decades, The Beatles has been somewhat of a representative group for the country. Today, international pop sensation One Direction, a British boy band, has been the latest media export from England. There are many examples in the media where these stereotypes are continuously enforced, and Janes suggests in his article that we should “engage [students] in discussion about brand values” (Janes 67). According to Janes, by approaching cultural views and international education with a marketing perspective, students might find it easier to gain cultural knowledge. I agree with Janes’ theory, because I think that it can affect students in the same memorable way that brands like Levi’s or Coca Cola do. Janes suggests that students are more engaged when they are inspired to explore on their own rather than be told what to learn. This concept applied to international education can be very useful. In another article from Frontiers Journal, the Interdisciplinary Journal of Study Abroad, Gary Rhodes discusses the Internet and its uses for the field of study abroad. The Internet benefits study abroad in several ways according to Rhodes. It allows administrators around the world to communicate much quicker and for less cost. It allows for quick updates on program information online. It helps the Higher Education community develop by allowing interactive online communications. By combining Janes and Rhodes concepts, I believe that branding international education using social media will benefit the field itself. In many ways, it is already happening. Students like myself who go abroad and have positive experiences, post and share their experiences online, thus advocating for the field. The study abroad brand, in my opinion, is a positive one. In 1999, when MTV show Road Rules portrayed students’ experience on a reality show, the audience certainly did not get an academically centered perspective on study abroad. It became a common misconception that studying abroad was just a semester-long party in another country. However, with globalization being such a predominant idea in today’s world, studying abroad has become an opportunity for personal, professional, and academic development. I think it is important that students and other members of the international education field continue to brand study abroad as an academic experience that helps students develop as young professionals and as people. By using Janes’ pedagogic approach and Rhodes’ methods to develop the field, branding international education and study abroad would be a combined effort resulting in what could be the study abroad brand. Janes, D. (2011). Beyond ignorance: using the cultural stereotypes of Americans studying in the UK as a resource for learning and teaching about British culture. Innovations in Education and Teaching International, Vol. 48 (61-68). Beginning in the 1920s we can see small intersects between the industries of media and international education. Furthermore, we can begin to relate the two and how developments in one have affected the other. In the 1940s, scholars began defining international education. Around this time, the radio was the primary source of news during World War II, and the importance of international awareness was on the rise in the United States. News reports during this time had an international focus because of the war, and perhaps Americans were inspired to prevent wars by learning more about other cultures and understanding of each other. The post World War era led to a rise in human interest in world peace, and the media has allowed for this to happen by providing an outlet for people to share this interest. In 1946, the Fulbright Act provided that “currencies and credits of certain countries acquired by the U.S. from the sale of war-surplus materials could be used for international education exchange”. This suggests one of the first expressions of government interest in international education. In 1958, the U.S. government establishes Advanced Research Projects Agency (ARPA) to promote research in the telecommunications field, which is an international concept that requires collaborations between nations. At this time, international education is still being defined theoretically and conceptually. However, in 1963, Semester at Sea is founded by the Institute for Shipboard Education. Its stated mission of “advancing cross-cultural understanding and respect and fostering in participants an attitude of caring and commitment to the world” defines its international education purpose (SAS 2007). In 1987, control and regulation of national data network is transferred from the Department of Defense to the National Science Foundation. This led to the development of HTML and the internet in the 1990s, allowing for citizens to have access to the web. Study abroad programs emerged and moved on to online platforms, generating more reach to students in the nation. In the academic year of 1996-97, there were 99,448 students who studied abroad, with 64.4% of them located in Europe. Government interest grew and by the year 2000, the International Academic Opportunity Act established the Gilman Scholarship Program, which offered awards and grants to undergraduate study abroad students. International Education Week was first held in 2000, as a joint initiative by the U.S. Department of State and the U.S. Department of Education to highlight the importance of international student exchange worldwide. A memorandum sent to the heads of executive departments and federal agencies from the Clinton administration provided a glimpse into the importance of supporting international education. It provided that “the U.S. needs to ensure that citizens develop a broad understanding of the world”, calling for an international study abroad program implemented in the education system. The academic year of 1999-2000 showed a 44.39% increase in number of American students studying abroad from the year 1996-97. At the turn of the century was the rise of social media, enabling people across the globe to communicate with each other, share ideas and opinions, etc. It also allowed for study abroad students to remain connected with their friends, family, and social networks at home. Facebook launched in 2004, YouTube in 2005, and Twitter in 2006. In addition to wireless cell phone capabilities, Internet access for study abroad students proves to be a great advantage. The economic and technological developments in the United States made the country very desirable in terms of pursuing an education. The academic year of 2008-2009 holds the record high of international students in the United States: 690,923. The year before, 262,416 American students studied abroad–an 8.53% increase from the 2006-07. It can be hypothesized that social media connected people and gave them an outlet of sharing their interests, possibly generating an increasing number of people interested in studying abroad. Now, the world is moving toward globalization faster than ever, and word is spread through media in a matter of seconds. Media and international education prove to be growing quickly and together, and it is likely that we will continue to see this trend. It is often assumed that social networking sites and Internet access hinders study abroad students’ ability to immerse themselves in the culture of their host country. Although many young students have a tendency to be wirelessly connected all the time, this is more difficult while abroad. Most students purchase cheap prepaid phones only with minutes and texts to avoid roaming while abroad. I think this lack of wireless frees students of distractions, and in a way it forces them to have a more engaging relationship with their surroundings. Students abroad still have access to the Internet, and it is the balance between lack of wireless and access to Internet that enhance their study abroad experiences. The authors highlight that the two central principles of the normative models of intercultural adjustment are: that intercultural adjustment is marked by increased stress, and that stress reduction comes as a result of increased social interaction (Mikal 289). Related to this is the theory that the Internet is tool which helps individuals and groups of social networks maintain “significant and supportive relationships” (Mikal 290). Mikal and Grace conducted studies, surveys, and focus groups to determine how the Internet is used by study abroad students. It was found that students reported spending an average of 4.49 hours online per day; 1.49 engaged in online communication, 1.22 hours engaged in information seeking, 1.49 entertainment seeking. Also, 85% of these students reported at least daily use of SNS. Students who go abroad and experience stressors like the inability to communicate in a foreign language, cultural differences, homesickness, financial problems, and academic problems, need a strong support network. Many times the people in this network are at home. As a result, students turn to e-mail, social media, and SNS (social networking sites), and the Internet to get the support they need and reduce the chances of feeling isolated. Personally, I use a variety of SNS to stay in contact with friends and family on a regular basis. When I went abroad, it was certainly helpful to remain connected in that way because it felt as though I was only gone physically; we could still communicate almost every day. Facebook, Twitter, Skype, blogs, e-mail, Instagram, and other platforms of media are providing a sense of continuity in study abroad students’ communication habits. By having them and using them abroad, it helps to make their transition more smooth and less stressful. Additionally, the Internet does the same for the post-study abroad experience and reverse culture shock that often occurs when returning home. It allows students to remain connected to the people they met abroad, news from their host city, etc. In short, the Internet helps students remain connected with life at home while being away for an extended period of time. Students are applying their technological “edge” to their experiences abroad to promote integration and reduce stress. The Internet is an incredible resource for students and travelers. The infinite amounts of data and information constantly being added to the web are important for students to use. Academic research and language learning is often enhanced by Internet use. Mikal and Grace’s point out that students use online information to locate destinations of places of interest and cultural activities, or for travel. By using the Internet to do so, “students created opportunities to interact with members of the target culture and to integrate more effectively” (Mikal 301). 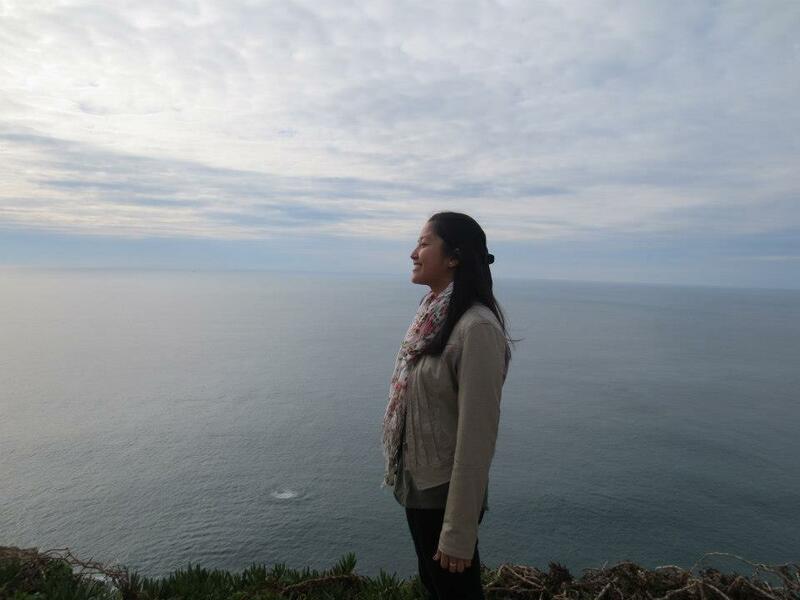 Study abroad experiences rely on the students’ desires to connect with a culture or country, so when students use the Internet to learn about it, there is an advantage. It can enhance their time abroad by teaching them both conceptually or historically, as well as by experience. The Internet as a resource for travel is not a new concept, and it comes easy to young students. 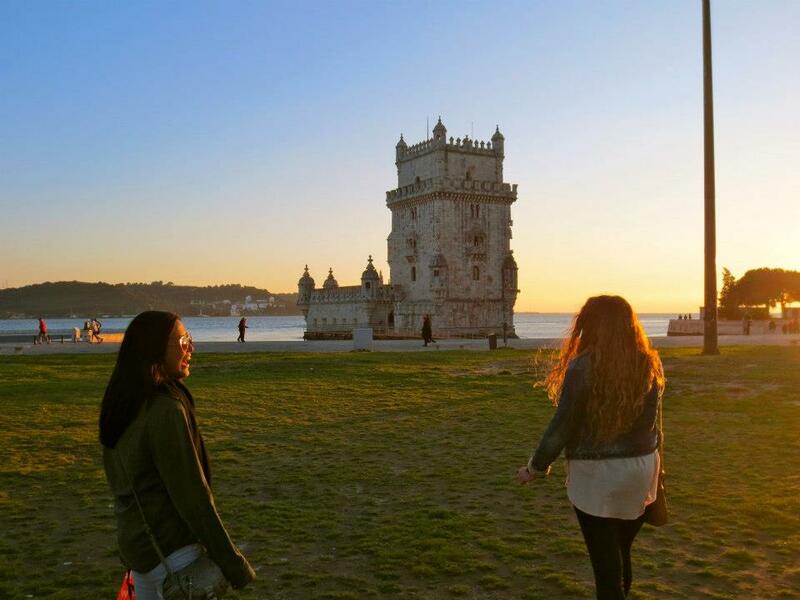 Much traveling is done by study abroad participants, and it is a strong industry. Travel companies in popular host cities have programs aimed toward study abroad students, like Discover Excursions, Bus2Alps, and Florence For Fun. The Internet is their main platform used to reach students and prospective students before they get to the host city. I was an intern at Discover Excursions, and they reached me through Facebook months before my program in Spain even began. Students use of the Internet does not change drastically when going abroad, but it changes in context and in agenda. The same networks and platforms are used, but for slightly different reasons; to find support from social networks at home, to learn about a culture a student is living in, to find local events/places, and often for travel purposes. In conclusion, Mikal and Grace suggest “a subtle shift of students’ online peer networks from Amerocentric, to multinational” (Mikal 303). This change will eventually lead to students’ ability to learning. 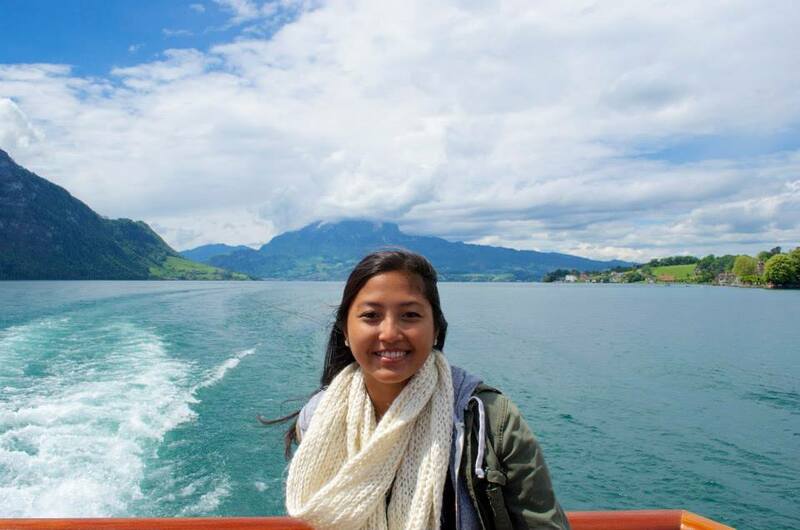 Study Abroad: How does social media help? Generation Y has grown up connected. Star Muir refers to this generation as “digital natives”, or young students who are native to a world saturated with media, technology, social networks, and anything and everything digital. Digital natives, according to Muir, need a new system of learning otherwise they will face a “disconnect tragedy” (Drucker, 22). To avoid said tragedy in all learning environments, the internet and social media can be utilized. Of course, learning environments also include study abroad courses. Since digital natives constantly use and are surrounded by various media outlets, it has become a real norm in their world. The secret for educators is to use this idea to their advantage in educational situations. For example, professor Orlando Kelm at the University of Texas at Austin uses blogging, photography, and YouTube regularly in his teaching, but especially at a special program he teaches abroad in China. MBA students at UT Austin participate in a Global Connections Program in China for two weeks, and Kelm incorporates the use of these mediums in the students’ learning. Daily blog posts are required that allow students to reflect on the day’s activities and the learning that occurred. Additionally, reading other blog posts and commenting on each one are required, enabling students to learn a variety of ideas and perspectives from fellow students. Blogging platforms enhance not only one, but many students’ learning process by permitting feedback and providing an diverse number of reflections. Additionally, prospective students have access to cultural blogs and thoughts written by past students, and it engages them and has an affect on decision making. In a study abroad situation, blogging (or writing in general) can enhance the experience incredibly. Kim Karalekas, New Media & Research Coordinator and founder of the blogger program at Academic Programs International (study abroad provider), says that writing is an invaluable activity, both on a personal and professional level. Blogging provides an audience with various dimensions of an individual because content varies. Students who blog abroad learn cultural writing and observation skills, while also providing readers and fellow students with personal stories and reflections on the experience. The ability of a student to do more than just memorize information is crucial to learning. Photographing and taking videos in every day situations that demonstrate applied theory or idea learned in the classroom is another way that professor Kelm at UT Austin combines media with education abroad. Kelm teaches his students David Victor’s LESCANT model. LESCANT stands for: language, environment, social organization, context, authority, nonverbal, and time. These are each various “areas where cultural differences may affect communication” (Kelm, 512). Kelm then requires students to take photos and videos throughout their time in China, that will serve as real-life examples of each of the seven areas. Along with photos and videos, a caption with an explanation is required, as well as comments on other students’ work. The benefit that students get out of this interactive learning assignment is the ability to identify what they have learned in the classroom and apply it to their own lives. These students, digital natives, are already using a variety of media to document their trip so why not incorporate the learning into their technology skills? Although Kelm’s pedagogy combining media and academics works well in a traditional setting, it works especially well in a study abroad setting. “The reflective processes and the connection of learning to the real world are important…” (Kelm 518). While abroad, students are usually immersed in unfamiliar cultures, and this experience is often “shoeboxed” (packed up and put away) after it is over. Accumulating blogs full of reflections and videos/photographs of the time spent abroad and learning is an incredible advantage that media allows students abroad to have and keep alive. Various forms of media have great effects on education abroad. Providing outlets for reflection, a resource for prospective students, hands-on learning, and professional development are just a few of the ways media and technology better study abroad and its participants. Drucker, S. J. & Gumpert, G. (2013). Privacy, Identity, and Public Engagement among Digital Natives. Regulating Social Media: Legal and Ethical Considerations, Vol. 2 (21-43). New York: Peter Lang Publishing, Inc.
Last week I spent some time talking with Jeramy Johnson, VP of development, and Kim Karalekas, News Media & Research Coordinator, at Academic Programs International (API). We discussed mass media, particularly the rise of social media use and what this has done for the field of international education. In 1999, the MTV show Road Rules cast Semester at Sea study abroad students as the show’s contestants. The Semester at Sea program (also called “Seamester”) is a study abroad program based on a cruise ship which travels to various countries and continents. Students take courses while simultaneously traveling. The reality TV show Road Rules is about six strangers who complete various challenges in different locations. The image that the TV show gave to study abroad students and the experience as a whole was not a very positive one, according to Jeramy. Road Rules did not portray cultural immersion as an important aspect of international education. Rather, it played on the drama, personal relationships, and game show challenges that the cast members faced. MTV shows are notorious for dramatizing their reality TV shows, and Road Rules: Semester at Sea was no exception. The show broadcasted a perspective that studying abroad is just a big party, and this became a common misconception about study abroad. A recent Room for Debate forum discussion in the NYT is titled “A Year Abroad vs. A Year Wasted”. Allan Goodman of the Institute of International Education, and Stacie Berdan, co-authors of “A Student Guide to Study Abroad” are among the participants in the discussion supporting study abroad. The other contributors are a graduate student, a professor, a former U.S. Ambassador, and a current college student. The Room for Debate platform allows for each writer to take alternate viewpoints and provide reasoning. This debate generated over 400 comments from readers, and the fact that a major news outlet like the New York Times is starting conversations about international education is one more step towards its advocacy. The conversation is much more academic and two-sided than it was when portrayed on MTV’s Road Rules. Berdan and Goodman write in their post, “Every parent, teacher, professor, adviser and employer should support making international experience an essential and affordable component of a well-rounded education.” Discussions such as these will set new standards for viewing study abroad and its value. 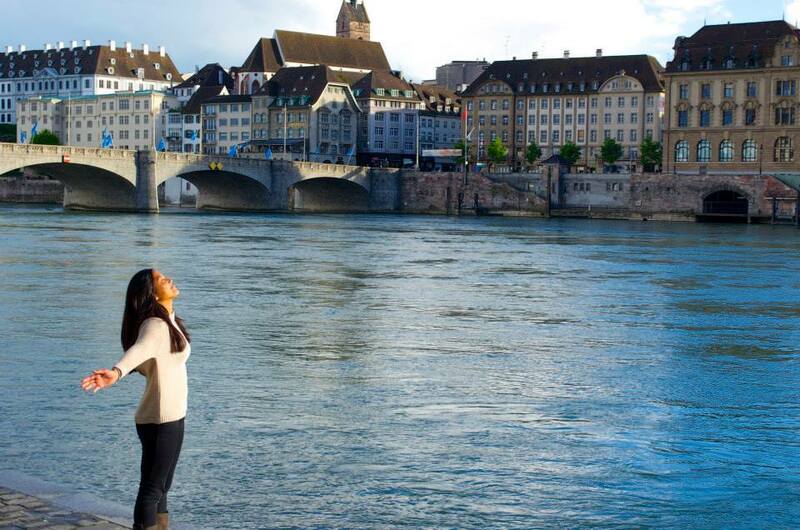 The study abroad field has since created a better image by embracing social media. Websites like GoAbroad.com and companies like API have used social networking sites from Twitter to Google+ as voices that will speak positively to the field. Because (most) social media is free and accessible, it allows everyone from study abroad students to universities to programs the ability to shape the field of international education. GoAbroad.com was one of the first study sites to jump on the social media bandwagon by creating multiple channels to allow for counseling and consulting with different audiences, such as university study abroad offices, students, media, etc. Their “Go Media” web division is an effort to offer digital marketing solutions for those in the international education field. The campaign was developed exclusively for the field and the travel community. GoAbroad.com helps find programs abroad, Go Media helps other international education companies/programs with online marketing, and GoAbroad.net connects travelers and expats in “travel groups”. The use of social media by international education programs is increasing and unlimited to certain mediums. API is active on several social media platforms, including Twitter, Facebook, Tumblr, and Instagram. Additionally, API has a blogger program and an alumni development program. These two programs are significant because they benefit not only API as a program, but the students and the study abroad conversation. API selects students to be guest bloggers as well as official student bloggers. They are to submit blogs before, during, and after their time abroad, as often as they would like. Students are also able to submit content and receive feedback in addition to the opportunity to share their reflections on their experience. Jeramy described the blogger program as API’s “crown jewel”. The number of applicants for the blogger program had a 97% increase from the fall of 2012 to the fall of 2013. Students are able to build their resumes and their personal brand online, while API is generating student-content in the study abroad field. The alumni development program is also unique. API alumni are chosen to act as campus advocates and peer mentors at their home institutions around the country. By giving students incentives and resources to advocate for international education to their peers, API is finding the value in what students to do encourage others to do the same. They are creating a positive feedback loop, and their social media use plays a big role in doing so. API’s second most popular referral source is Facebook, suggesting that social media has an impact on how study abroad information is spread. Facebook and Twitter are also their best referral sources for applications. The more public the social account is, the greater the reach is. The use of media in the field of international education is for a variety of purposes. It generates interaction with friends and family while students are abroad, and it reaches various audiences. It advocates for a more understanding, globalized, and educated world. Because students, alumni, professionals, and prospective students all hold interests in the field, their use of social media shows this, and advances it as well. GOOD is a global community of, by, and for pragmatic idealists working towards individual and collective progress. Part of the definition of international education highlights the importance of various cultures and peoples working together to create a sense of cultural awareness. Many articles and blogs have content about traveling, going abroad, and positive lifestyles, and I think that these subjects have a lot to do with international education, study abroad in particular. Although the influence is small, a lot of social media content is encouraging international education by advocating for a globalized world. Like the digital divide of a generation ago, today we face a growing “global” divide, between those who will have access to an international education and will be primed for success in our globalized world, and those who will not. The United States faces the global challenge that is providing its student population with international education. Only 1% of American students study abroad, according to a study conducted by NAFSA, the Association of International Educators. With minimal public policies and government funded programs to help students go abroad, the U.S. needs to begin encouraging the next generation of students to pursue an academic experience abroad. Higher education institutions can apply for grants in order to provide its students with study abroad programs with the Simon Study Abroad Act. The bill has been introduced in the Senate once and in Congress twice, and has been passed by the House twice. However, it has never been passed by the Senate. The commission published a report outlining the need for U.S. government programs for study abroad. It proposed a vision and discussed the reasoning behind their proposal, such as globalization and economic competitiveness, U.S. leadership, and educational value of studying abroad. The commission also addressed national security followed by six recommendations that will allow for “one million students to study abroad annually in a decade.” The report was published in November of 2005 recommending the program, which became the aforementioned Simon Study Abroad Foundation Act. Fulbright is sponsored by the Bureau of Educational and Cultural Affairs under the U.S. Department of state. The program has several programs within it, such as teach or research programs, as well as student exchange programs. Fulbright is extremely competitive between students, professional, teachers, and scholars, funded by appropriations from Congress. This program provides academic or professional experience in the United States for students from designated countries. The ten-month program offers awards to candidates who possess leadership potential and commitment to public service, and its aim is to foster an exchange of knowledge and culture between the United States and the Fellow’s country of origin. Primary funding is provided by U.S. Congress in addition to other governmental, organizational, or private sponsors. This was a bill to establish an undergraduate grant program of the U.S. Department of State to assist students with limited financial means to pursue international educations abroad. It was written in hopes of establishing a scholarship program that would offer grants of up to $5,000 to each American students. The Act was introduced and funded, creating the Benjamin A. Gilman International Scholarship Program. The Gilman Program was established by the International Academic Opportunity Act of 2000, and it provides awards for U.S. undergraduates receiving Federal Pell Grants to participate in study and intern abroad programs. It is funded by Congress, sponsored by the Bureau of Educational and Cultural Affairs at the U.S. Department of State, and administered by the Institute of International Education. National Security Education Act of 1991. Senator David Boren was the principal author of the National Security Education Act of 1991. This Act was signed into law by President Bush in 1991. It mandated the Secretary of Defense to create the National Security Education Program (NSEP), which awards scholarships, fellowships, and grants to U.S. undergraduate students who held interests in study abroad areas critical to U.S. national security. Under NSEP are the Boren Awards for International Study, which focuses on geographic areas, languages, and fields of study deemed critical to U.S. national security. This established the first major funding for international education in the United States. It provided funding to higher education institutions during the Cold War and was passed in October of 1966. It was a major breakthrough in international education because it received a total of $140 million over three years to support American students in their international education pursuits. It funded student work-study-travel programs, faculty training, language training, etc. The history of international education seems to be complicated, messy, and a little bit unclear. Professor Bob Sylvester at Bridgewater State College suggests that the field “suffers primarily from a lack of definition” (Sylvester, 1). However, a general consensus between the attempts to document its history is that the roots of international education can be found in the early 20th century, and that its aim is an understanding and acceptance of world cultures. Below I have outlined some of the important events in the field’s history beginning in the 1920s. Organizations like the Institute of International Education (IIE) and the World Federation of Education Associations (WFEA) were established in 1919 and 1923, respectively. In 1921, the IIE began helping international students obtain scholarships, work, and other means of education in the United States. Student exchange programs were established between the U.S. and countries like Czechoslovakia, Great Britain, China, France, and Russia, as well as some Latin American countries. In the 1940s, scholars began defining “international education”. The Fulbright Act of 1946 provided “that currencies and credits of certain countries acquired by the United States from the sale of war-surplus materials could be used for international educational exchange”. This became the flagship U.S. higher education exchange program operating in about 155 countries across the globe with 200,000 students participating to date, including 42 Nobel laureates. The Council for International Exchange of Scholars (CIES) was founded in 1947. Today it is the scholar division of the Institute of International Education, and it administers the Fulbright Scholar Program. The first meeting of record by the world education body which discussed international education was held in Sevres, France on July 21, 1947 for six weeks. An article in the Journal Education Leadership from 1950 by Lavone Hanna, a professor from San Fransisco State College, states that international education must follow the following 5 basic principles, the first two being: “1) Science and technology have made all people increasingly interdependent, 2) All people have the same basic needs but have learned different ways of satisfying their needs”. The first and only Documentary History of International Education scholarly article is published in 1960, written by Professor David Scanlon of Columbia University. Semester at Sea (SAS), a study abroad program, is founded in 1963 by the Institute for Shipboard Education. In 1968, J. J. Scanlon and D. G. Shields publish “Problems and Prospects in International Education”, in which they propose a three part schema for the organization of the activities that ‘international education’ in the United States embrace. It included the following aspects: 1) Promoting Self-Image Abroad, 2) Promoting International Understanding and World Peace, and 3) Promoting Human Knowledge and Competence. In June of 1969, James Becker of the Foreign Policy Association published a research study of the “objectives, needs and priorities in international education” in U.S. public schools. In Paris in November 1974, “international education” was defined at the UNESCO General Conference: “The terms international understanding, co-operation and peace are to be considered as an indivisible whole based on the principle of friendly relations between peoples and States having different social and political systems and on the respect for human rights and fundamental freedoms. The European Union initiative program that facilitates international education across Europe is called the EU Erasmus program. It has facilitated international study for about 2.2 million students across Europe since it was founded in 1987. In the 1990s and 2000s, study abroad and international programs began incorporating comprehensive courses relative to all learning variables, like longer durations abroad and housing options. Programs also increased focus on intercultural and global awareness, professional development, and academic discipline. Established by the International Academic Opportunity Act of 2000, The Gilman Scholarship Program began offering awards and grants to undergraduate study abroad students to fund participation in study/intern abroad programs. International Education Week was first held in 2000, as a joint initiative of the U.S. Department of State and U.S. Department of Education that provides an opportunity to celebrate the benefits of international education and exchange worldwide. In the 2009-2010 academic year, about 690,923 international students were studying in the United States–record high number which maintains the USA’s status as the most popular destination for international students. The University of Southern California had the largest number of international students in 2010; about 8000 international students. Even today, less than 1% of American students study abroad. The field of international education has a long way to go, and I think that media can help. Although there is not one universal definition for international education, there is one universal understanding that its purpose is to increase global cultural awareness. Next, I have outlined the history of media, which moved much quicker than the field of international education. Media’s development is also much easier to understand, and through its examination, we can make some applications to how it has affected the field of international education and how it can continue to do so. The statistics and numbers of media use today is incredible, and there is not doubt that the media we use and consume influences us. With this belief as support, I believe that the media has the power to spread the word and advocate for the field of international education. With the growth and development of the internet and social media is increasing popularity and support for ideas that are at the core of international education’s purpose. The post World War era led to a rise in human interest in world peace, which I think has impacted the international education field and its programs, related public policies, and media coverage. As the world moves toward globalization and a more international interest, I think we will find that the power to inform people about and encourage international educations will be found in our use of media. Hofstra University. (2010). Mass Media History Reader. Pearson Learning Solutions.